Jeremy finds himself back in class, but he’s terrified: Odd and Ulrich aren’t with him. 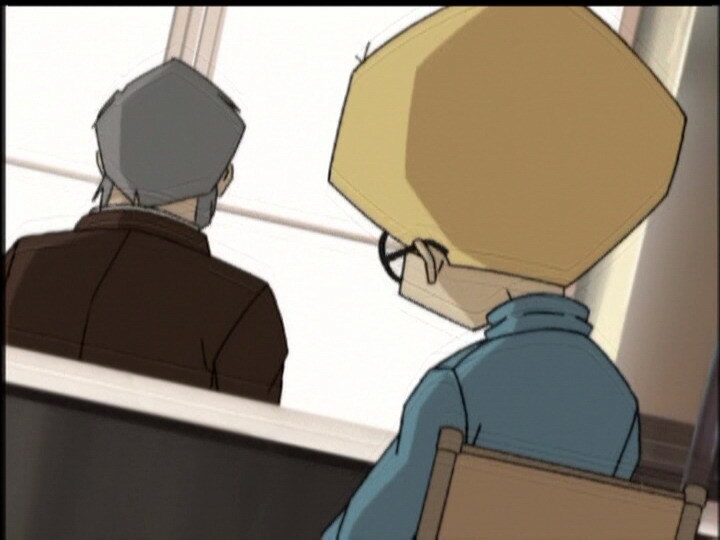 Searching the school, he doesn’t find Yumi in class either, nor the boys in their room… Distressed, he contacts Aelita, who confirms that they’re no longer on Lyoko; they seem to have completely disappeared! 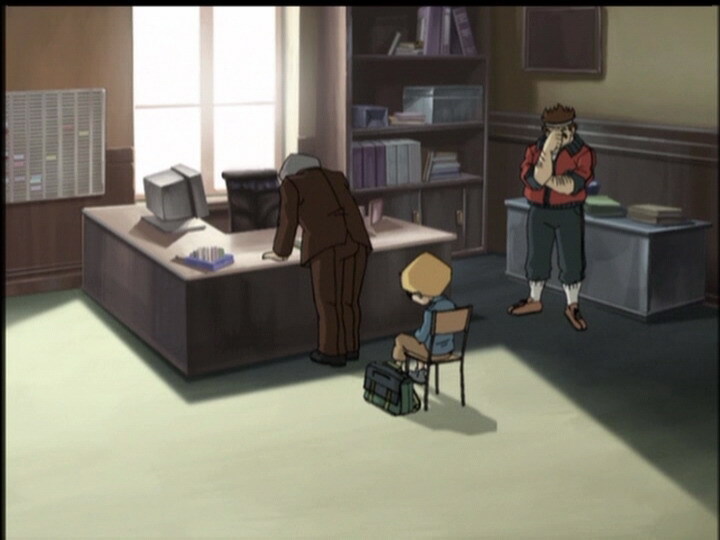 Jeremy is caught by Jim and led to the principal’s office, who wants to know where his friends are. Jeremy and Aelita try to figure out what’s going on, and Aelita sends him a video she’d captured from a live radio channel… Jeremy sees his three friends in a place similar to Kadic in every way. Nonetheless, it must be a video: Jeremy sees himself in it! …and Jeremy arrives just in time! He explains everything to his friends, including that XANA wants to send them into the scanners to get rid of them for good. XANA retorts that his adversary is XANA, and that it has created a clone of him to buy time and allow Lyoko to be destroyed! Odd, Ulrich and Yumi stand between the two Jeremys, indecisive… The false Jeremy asks its equal how he had arrived there, supposing that it is a virtual world. Jeremy reponds that he’s there in virtual form thanks to the scanners. XANA replies that the real Jeremy wouldn’t enter the scanners, that he’d be too frightened. 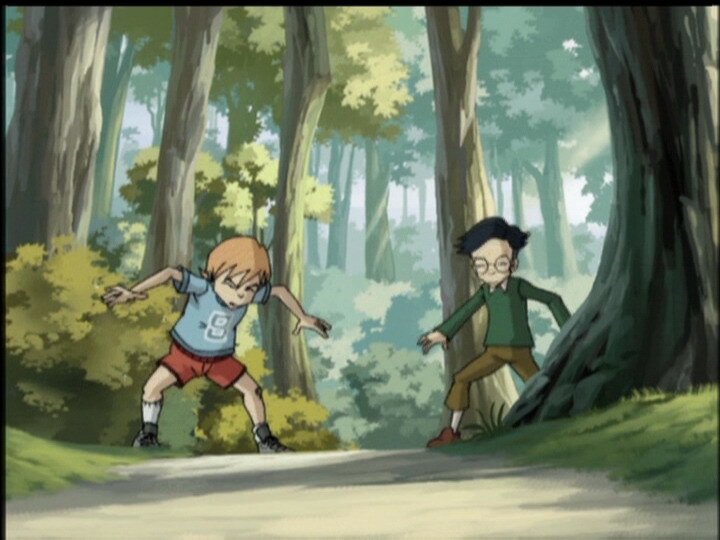 But Yumi, Odd and Ulrich argue that Jeremy would do it if he knew his friends were in danger. Now close to the bubble in the Ice Sector, Aelita hears Jeremy’s cry… Kneeling near the bubble, she puts her power to use, more intensely than ever and the virtual bubble breaks up in the most formidable explosion in the series, which shakes the entire Sector with its intensity, cracking ice sheets! Jeremy is sent back to Earth. XANA, we can’t say where… The virtual fighters find themselves back in the Ice Sector as if they’d never left. Aelita fills them in on the situation and how Jeremy was virtualised to save them. Odd congratulates him and they reconcile. An army of Bloks reveals itself in front of them, but it’s only routine. They charge into the mêlée without hesitation with an enthusiastic war cry! 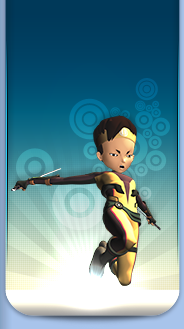 - Attack: Create a virtual world within Lyoko which the heroes believe to be reality, while they’re actually under XANA’s control. If they enter the scanners in the false world, it will erase them..
- Return to the past launched at the start of the episode. We don’t know what kind of attack it was. 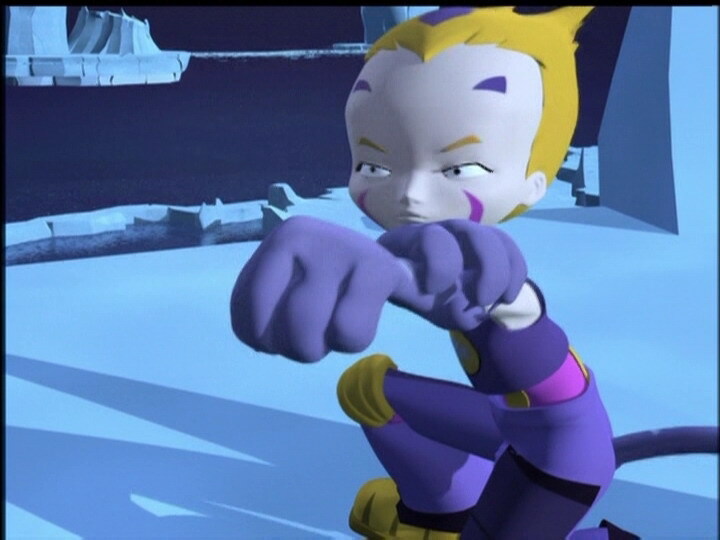 - First virtualisation of Jeremy, who enters a parallel world within Lyoko, without Jeremy actually setting foot on Lyoko itself. - First time we see XANA itself, incarnated in a false version of Jeremy, who wouldn’t miss the chance of killing our heroes. This is the only time the heroes face XANA directly. 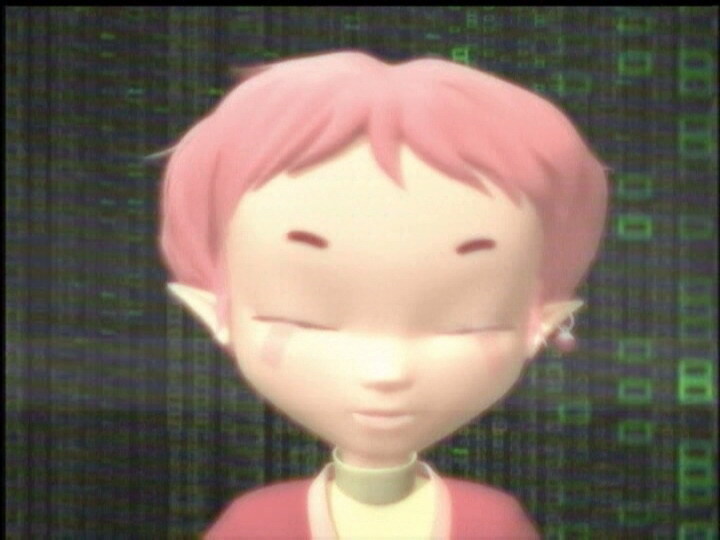 - First time Aelita saves our heroes directly without entering the Code Lyoko. - First appearance of a ghost channel which XANA recreates in episode 82, “Distant Memory”. - First appearance of Ms Kensington. 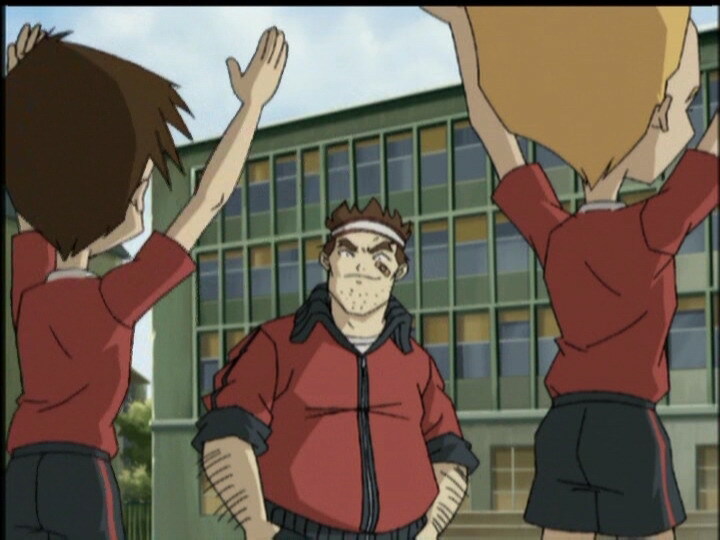 - Only episode in which we see Ulrich, Odd and the other year 8 students wearing school-issued uniforms for sport (in the parallel world). - Sissi reads books about horse riding. - Aelita can, like XANA, act on the networks on Earth. - Note that in this episode, the activated tower isn’t deactivated (it’s not even seen! ); only the virtual world bubble it’s supporting is destroyed. - XANA’s knowledge of the real world is theoretical and its knowledge of the human brain approximate; it can’t understand concepts like friendship, among others. - Odd’s phone is sky blue instead of white. - At the moment when XANA disappears, the door to the lift is closed when it wasn’t just before. - Just after Jeremy says Yumi has also disappeared, the students in her class change places. - When we see the flashback of Yumi in English class, we can see Veronique Fayolle who is in year 6. - The door to Odd and Ulrich’s room (in the parallel world) is orange instead of dark brown and the handle is on the left instead of the right. - Aelita’s outfit is inversed when she says “I hope it’s not too late”. - When Jim intrudes on Jeremy in his room, his band-aid is on the wrong cheek and the door to Jeremy’s room is green instead of grey. - Odd’s pants are entirely the one shade of purple during two shots in the cafeteria when Ulrich asks him if he thinks Jeremy is acting strangely, and the colours are inversed just before XANA arrives at the lab. - Herb’s hair is entirely black just before Ms Hertz asks about where Jeremy, when Jim (from the parallel world), he and Nicolas grow, as well as in the following shot in the lab. 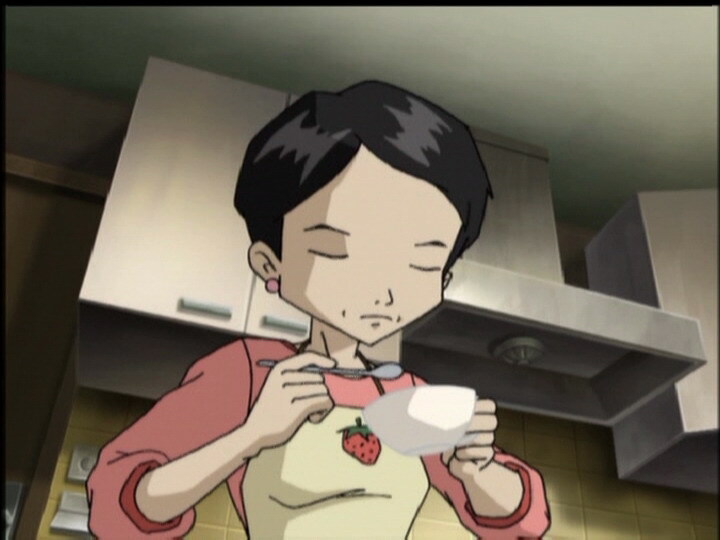 - First episode starting and ending on Lyoko. - The extract Ms Kensington reads to her class is an extract from a famous piece of Shakespeare’s “As You Like It”. The famous phrase “All the world's a stage, and all the men and women are merely players. They have their exits and their entrances...” is from act 7 scene 2! - The repetitious effect the people in the parallel world exhibit is probably inspired by the film Matrix, in which humanity lives in a virtual world, a matrix driven by machines. Each intervention by the machines to modify the matrix is characterised by a sense of déjà vu. Odd: Aelita! Ok, princess, the home stretch! Odd: Yeah! He’s amazing, how does he do it? The crowd is going wild! Thank you, thank you! Jeremy: Odd! Odd, cut it out, will you? There’s a third Blok! Odd: Huh, a third one? Jeremy: Odd, one impact and it’s game over! You’ve only got ten life points left, that’s all! Odd: Ten’s more than enough! Here we go! …Hey, Jeremy, next time just enjoy the show and let the real pros get the job done, ok? Aelita: I’ll go and take care of the tower. Odd: Hey, take it easy, I was just kidding! I didn’t mean it! Hey, Einstein, you hear me? It was a joke! Jeremy: Hey, great work, guys! You were better than ever! No hard feelings, Odd, it was- Huh? Ms Hertz: Odd? Odd? …Odd? Odd’s absent? Well, and so is Ulrich! Odd: Hey, that was great work, Einstein! You were never better! No hard feelings, huh? Ulrich: After what you said to him before, it’s no wonder he’s sulking! Odd and Ulrich: Here, ma’am! Ms Hertz: I know that you’re here! What I do not know is what you have to say to each other that’s so interesting! XANA (as Jeremy): They’d asked me if I’d noticed…that with all due respect, ma’am, the Brouwer equation you wrote on the blackboard is wrong. XANA: It’s not wrong from a mathematical point of view, but it fails to take into account Bronsky’s theory on the phenomenon of compared masses. You should treat the second unknown element as a squared mass, not a factorial. Ms Hertz: Hm…why yes, youre…you’re absolutely right! I’m sorry about that! Jeremy: This is weird, I don’t believe it! Yumi’s gone too! Aelita: Why? Didn’t they come back from Lyoko? Jeremy: No, Aelita! I’ve lost them! Something must have gone wrong in the return trip! Odd: As ok as two guys can be with two hours of bio ahead of them. Yumi (watching Jeremy): Anyone know why he’s sulking? Ulrich: He’s angry at Odd. Yumi: Like a broken record! But it only lasted a second! Ulrich: And what, you’re thinking that it could be XANA? 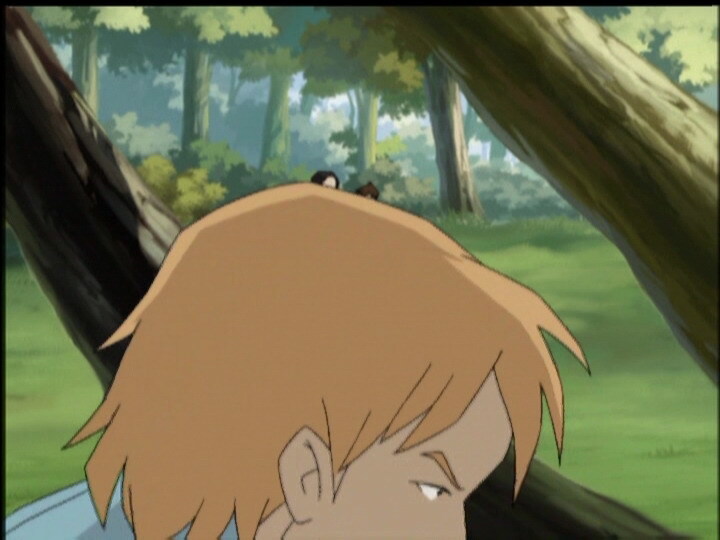 Yumi: I really don’t know, Ulrich, but it sure wouldn’t hurt to keep an eye on things! Principal: As I’m sure you can imagine, their parents are worried sick! Jeremy: Alright, sir. I’ll think about it, but I need to be alone. Principal: You have an awful lot of nerve, young man! However, if it’s the only way to bring you to your senses…I’ll give you three minutes! Aelita: Don’t worry, I’ll help you get out of there. Yes, Jeremy, just like XANA I can operate on the school’s network as well. Jim: Should we call the police? Odd: Ohhh, hey, Sissi! Did you use canary feathers in the washing machine instead of soap? Sissi: That is so dumb! I’ll have you know that yellow is the in colour this year! Hmph! Odd: Hahahaha! What a dope! Yumi: Hey, did you hear that? Odd: I didn’t say anything that time! Jeremy: Yes, I know…we’ll find out soon enough… Empty! Jeremy: What am I looking at? They didn’t come back to Earth, did they? Aelita: What if what we’re seeing is a recording? Jeremy: But how can that be, Aelita? I’m in the picture! Yumi: There are weird things happening! Any news from Aelita? XANA: I’m having difficulty contacting her! I have no idea if there’s an activated tower or not, but at the slightest alert, we’ll have to move in. Yumi: Hey, how come you’re not doing phys ed., Jeremy? XANA: Jim agreed to excuse me. Yumi: He did? That’s weird…you’re not exactly a star athlete. XANA You’ve gotta know how to handle him! Not like them. Aelita: Yes, I know but, I’ve checked all the transfer protocol data, and unless a sort of parallel world exists somewhere…there’s no such thing as an intermediate space! Jeremy: Unless XANA has manufactured one! 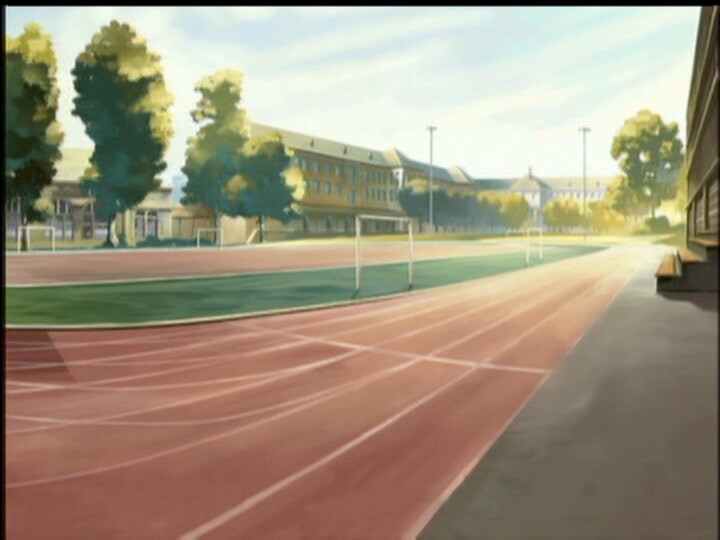 That’s it, a world parallel to Lyoko! And he must have modelled it after the school, he couldn’t have made a better trap. Yumi and the others think they’re in reality, but it’s only an illusion. They’re living under XANA’s control completely at his mercy! We’ve gotta rescue them! Jeremy: It’s gonna have to be me. If you take over the controls, then I’ll be able to go. Jeremy: We can’t leave Ulrich and Yumi and Odd at the mercy of XANA! Think about it: if I’m here in front of you…who’s the other Jeremy? Jeremy: Aelita! There’s something I want to tell you. I’d much rather be entering a virtual world, to find you waiting there for me. Aelita: It’s ok, Jeremy, I’ve prepared the transfer procedure. You can get into the scanner. Scanner Jeremy! Virtualisation! XANA: Ugh, there he is at last! We’ve got a visitor, Jim! Odd: Yeah, Yumi’s what you might call intuitive, but she can be wrong sometimes. And let’s face it, Ulrich, huh…any girl with a crush on you can’t be what I’d call absolutely normal. Yumi: No, not Jeremy. Just Odd, you and me, ok? Let’s leave Jeremy out of it this time, I-I have my doubts…see ya. XANA: I’ve got you! Soon I won’t have any more obstacles! Yumi: We’ll see when we get there, but I’m afraid he can’t be trusted! Jeremy (to Jim): For a program, you’re a pretty good imitation! Yumi: I don’t understand, there’s no link! 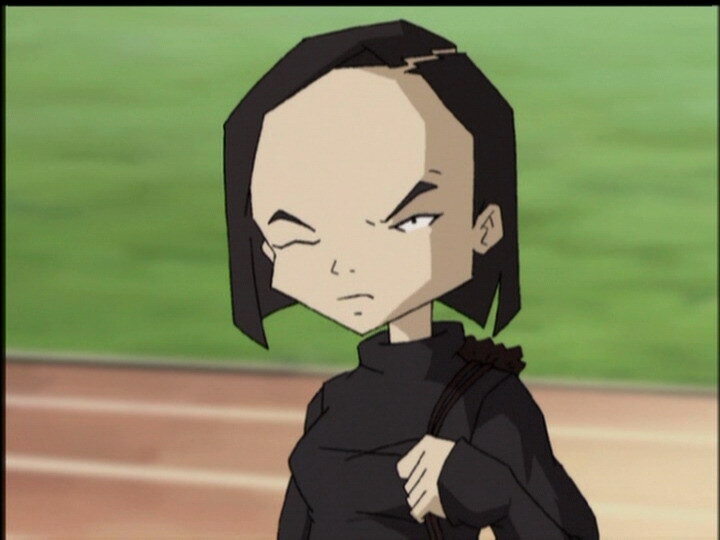 It’s like Lyoko didn’t exist anymore! XANA: And that might be exactly what has happened. Yumi: I’m not too sure of this. XANA: What’s wrong with you? Look, it’s Jeremy, Yumi! Jeremy: Yumi, you’re right, it’s a trap! Don’t go! XANA: XANA, is that the best you can do? A cheap imitation to delay us? Jeremy: He’s lying! The phoney is there, it’s him! Everything here is phoney! You never came back from your last trip! You’re in a virtual world created by XANA! XANA: That’s totally absurd, XANA! Ulrich: It’s true, we have no proof that he’s not the one lying to us, right? He could’ve created the inconsistencies too! Odd: Exactly! To hold us up while Aelita and Lyoko are being erased forever! XANA: Assuming, as you claim, that this world is virtual, you mind telling us how you got here? We’re listening, XANA! Jeremy: I got in here via the scanner. I’m here in virtual form! XANA: You gave yourself away. Everybody knows that the real Jeremy wouldn’t step foot in the scanner, he’d be much too frightened! Odd: And I’m sure he would go into the scanner, if his friends were in danger. Ulrich: No doubt about it! Jeremy: I’ve told you why! Because he’s not infallible! XANA’s knowledge of people is only approximative! Odd: That’s right. And as far as friendship goes, it’s not approximative, it’s double zero. Good to see you again, Einstein. Aelita: I got them back, all of them! Safe and sound! The parallel world bubble has disappeared! Odd: I don’t remember anything, but I feel just great! Odd: What? 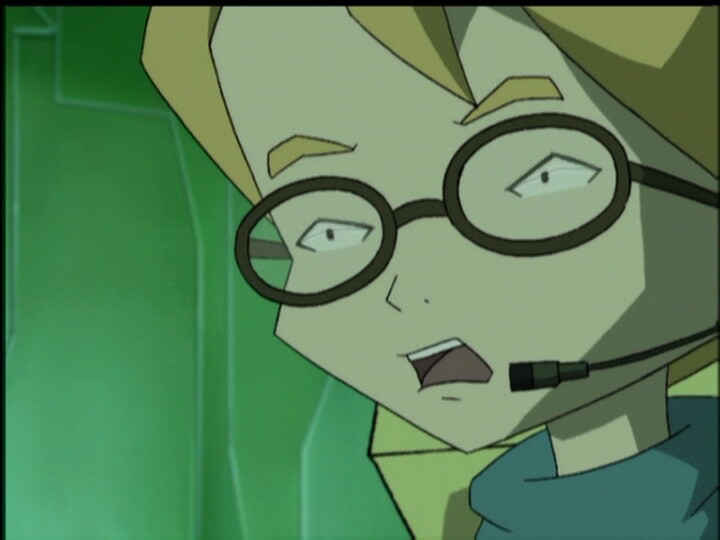 Jeremy came to Lyoko? Fantastic, Einstein! Join the daredevil heroes club! Jeremy: Thanks, Odd! No hard feelings, huh? …look, it’s XANA’s welcoming committee! Ulrich: No need to worry, Jeremy, we’re used to this. It’s a piece of cake! Here we go! YE-HEAAAAH!